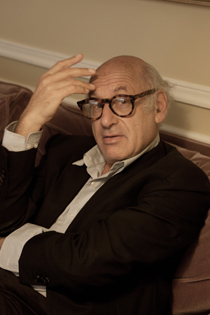 Michael Nyman is a composer, pianist, librettist, writer, musicologist, photographer and film-maker whose work encompasses opera, concert music and film soundtracks of which The Draughtsman's Contract and The Piano are the best-known. Since founding the Michael Nyman Band in 1977, which tours the world, he has worked with leading film directors and has collaborated with artists such as Mary Kelly, Damon Albarn, Carsten Nicolai and the Oscar-winning Man on Wire star Phillippe Petit. Recent work includes several contributions to what is an intended series of 19 symphonies. Further War Work: 8 Songs with Film is a powerful example of Nyman's work as a composer and also film-maker. His music is available via an extensive range of recordings on his own label, MN Records.